Have you heard of a candy that is filled with fruit benefits and no harmful ingredient yet likely to cost life of children eating it? If no, please give a while to read this information. A few days back I spoke to one of my friends from US who is a journalist and social worker. She told me that she is busy running campaigns against a killer candy. I thought the candy might be made of poisonous ingredients or there might be a chemical making it dangerous. To my surprise it was not so. It’s made of real fruit juice and no harmful chemical. Despite this, the tasty treat of this candy has claimed more than 200 lives across various countries. Parents believed the candy was good for their children as a substitute for real fruits which their children hardly ate. But, they could not even assume how dangerous it would be to let their children eat those candies. Actually, shape and size of the candy is likely to causes a lodged in the throat if slips through the tongue or if swallowed as whole even accidentally. The laws that take care of the edible products’ standards do not include any guidance about the shape and size of a product, even in the USA. 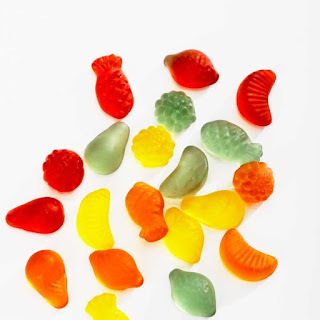 The countries in which such candies are sold have experienced the loss of innocent lives. That is why, health agencies in many countries around the world have issued warnings about the candy’s consumption. It is prescribed that the candy must come in a pack on which a warning is written. Apart from this, it is also advised that the candy should be consumed by children only under parents’ supervision. But, these steps seem to be insufficient. Children who are the target consumers of such candy are likely to pay no attention to any such warning. Parental supervision also cannot ensure that the candy will not get unsealed until parents guide their children by saying, “O kid! You must take care in eating this candy. You can of course enjoy its taste baby, but eat through little bites only. Be careful of not swallowing it as a whole.” Imaginary isn’t it? Only few exceptional kids would listen to you before finishing their candy in hand. Thus, the entire responsibility is on the shoulders’ of the parents only. May be it is not a product sold in India until now. But, the world is a small place now. You can go abroad or the candy would anytime be brought to Indian stores because these are believed to be manufactured in Asia only. So, just beware! I don’t have evidences of this except certain google based information and what my friend told me. Still, there is no harm is being preventive. Parents show care in letting their kids eat things by going through the note of what that product contains. But even size and shape can be dangerous. Until any law is passed to take care it’s the responsibility of parents. And trust me even if the law does something, it is the responsibility of parents. You can get your children in habit of eating small bites of everything. All parents remained worried about what their children eat and this obvious concern makes them judge everything which is consumed by their kids.So, next time to judge something to be good to be eaten by your child please pay attention to its shape and size also.